There have always been warps—tears between realities—and they’ve always been a threat to humanity. Most people are blind to them. But Hallie’s eyes are opening. Now that she’s going to school at the Protectorate, she’s learning there’s more to life than fun and games. The truth is, she’s just become part of Earth’s only shield against the monsters of the warps. Before, she didn’t think she was anything special. Now, yanked from her relatively normal life, she realizes that she doesn’t have a choice. When the emergency alarm sounds, calling everyone in the school to arms, even the young and inexperienced are needed. 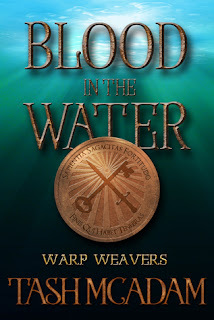 As one of the warp weavers—capable of closing the warps and stopping the monsters—Hallie must now work to save lives. And she must do it in the most complicated situation she’s ever experienced. Because there are sea serpents in the Thames, and Hallie has to close the doors that are letting them in. The problem is, they’re underwater, and they’re hungry. Now everyone is relying on her, and Hallie must find a way to do her job—with a brand new partner—before it’s too late. Because if she fails she’ll die, along with everyone who’s depending on her. Don't miss this prequel to Tash McAdam's new series, Warp Weavers, coming in 2016. Telepaths, torture, mindwipes ... the Institute has it all, and they use each of their brainwashed children as weapons, the way they see fit. To control society, repress its people. To make certain that they stay in power, no matter the cost. Serena’s baby brother Damon is one of those children, and these days he’s so altered that he doesn’t even recognize her. When it comes to getting Damon away from those who kidnapped him, there's nothing Serena won't do. Even if she has to kill him to save him. First, though, she must prove to her father that she has what it takes to be a soldier against the insidious threat of the Institute. Her first mission has to be perfect. But with inaccurate intelligence, unexpected storms, and Gav Belias, people’s hero of the Watch, on the prowl, will she even survive? If she doesn't succeed, they'll never let her go after her brother. And that would be unthinkable, when it was her fault that he was taken in the first place. 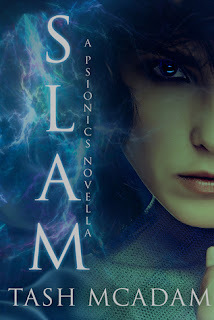 Slam is Tash McAdam’s first work with Glass House Press, and serves as a prequel to the series The Psionics. The first novel, Maelstrom, is scheduled for release in February 2016. 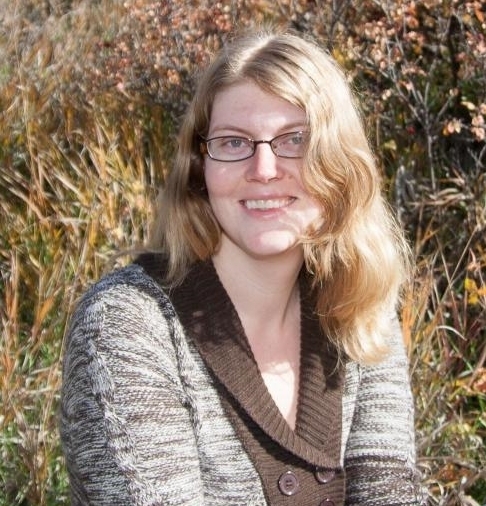 Tash McAdam’s first writing experience (a collaborative effort) came at the age of eight, and included passing floppy discs back and forth with a best friend at swimming lessons. Since then, Tash has spent time falling in streams, out of trees, learning to juggle, dreaming about zombies, dancing, painting, learning Karate, becoming a punk rock pianist, and of course, writing. Tash is a teacher in real life, but dreams of being a full-time writer, and living a life of never-ending travel. 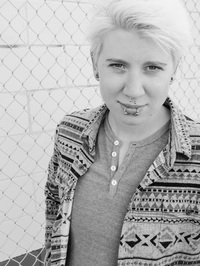 Though born in the hilly sheepland of Wales, Tash has lived in South Korea and Chile and now calls Vancouver, Canada home. SLAM, a novella in The Psionics, is Tash’s first published work. Maelstrom, the full length novel will be out in June. 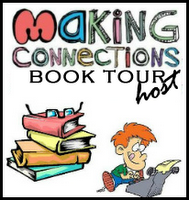 Visit the website or facebook for news, gossip, and random tidbits about Tash’s adventures. 1. Tell us a little bit about your main characters. Oh I have so many! I'll talk about my most imminent series. My main characters in the Psionics series are Epsilon 17 and Toby Reynolds. They are from very different backgrounds. Epsilon 17 is a telepathic Reader who was enslaved by a government organisation developed to keep telepaths under control. She was raised by this organisation, robbed of her memories repeatedly, but as the story unfolds she becomes able to hold on to parts of herself through the memory-wiping procedure. Traumatized and terrified, she starts making plans to escape. Toby, on the other hand, is a privileged boy raised in the inner city with the best of everything at his disposal... until a freak accident reveals his own telepathic powers and he's forced to go on the run from the very people who are supposed to protect him. 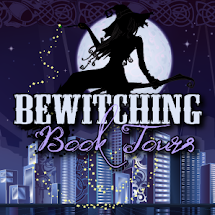 2. Who designs the covers for your books and what is that process like for you as an author? I actually run a cover design company with my partner, and I did the covers for Blood in the Water and Panic (both short stories) myself. The rest of my covers have come from a few different sources, and the process has always involved a lot of chatting with my publisher, mutual idea generation, before handing it off to the designer. It's a strange process, because what you envision for your book may not be the best way to draw readers in, what you have in your minds eye might be accurate but not easily understood at a glance. So, you have to trust that the designer knows what they are doing, and let that personal attachment soften a little. Covers are vital to your sales, they are the first thing people see, the first impression. You have to interest but not overwhelm. And just because your particular tastes lean a certain way doesn't mean that's what's best for your book. 3. Describe your ideal writing spot. My idea writing spot is at my handmade copper and pine desk, looking out over my gorgeous view of the mountains, with a hot cup of coffee on my right and some delicious snacks close to hand. And silence. Utter silence. 4. What is the best advice you have been given? You can't please everybody, so do something you are proud of, learn from criticism if it is constructive, and let it go with the adage 'maybe they just aren't your audience' if it's not. Oh, or 'can't fix what doesn't exist', which is what I tell myself every time I'm struggling to get the words on paper. 5. As a child, what did you want to be when you grew up? I changed my mind pretty often, but most memorably, a blacksmith. 6. Which do you prefer: hard/paperbacks or ebooks? Can I have both? 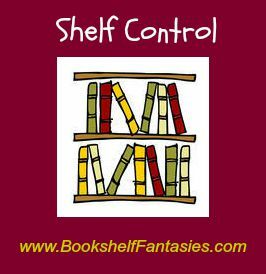 I like to collect hardcovers on my shelf for admiring and flicking through, and ebooks for the convenience. 7. If you could have any supernatural power, what would you choose and why? I would love to be able to teleport. I'm a Brit living in Canada, and my whole family is still in the UK along with a bundle of awesome friends. I've also been lucky enough to have traveled extensively and I have people all around the world I'd love to be able to casually drop in on. 8. What book are you reading now? I just started Morning Star, the third book in the Red Rising trilogy by Pierce Brown. I am really excited, it's one of my favorite series ever! But I'm only on page four so I can't say anything about it apart from that my hopes are high. Every night the monsters hunt. A city that is the whole world: Theosophy and her companions in the City militia do their best to protect the civilians from the monsters, but they keep crawling from the Rift and there’s nowhere to run. Theosophy knows she’ll die fighting. It’s the best kind of death she’s seen, and at least she can save lives in the meantime. They say the Scarred carve you up while you’re still alive. A village in the shadow of a forest: Refugees from the border whisper about the oncoming Scarred, but Briony can’t convince her brother to relocate his children to safety. Briony will do anything to protect them. She owes them that much, even if it means turning to forbidden magic. When Theosophy and Briony accidentally make contact across the boundaries of their worlds, they realize that solutions might finally be within reach. 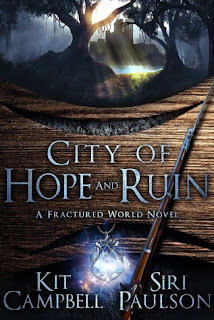 A world beyond the City would give Theosophy’s people an escape, and the City’s warriors could help Briony protect her family from the Scarred. Each woman sees in the other a strength she lacks—and maybe something more. All they need to do is find a way across the dimensions to each other before their enemies close in. Kit Campbell has never met a mythology she hasn’t liked. This sometimes leads to issues, such as the occasional Norse God of Thunder showing up in the Garden of Eden. She adores weaving in the possibilities forgotten magic can bring to a story, and enjoys making up new creatures, such as large, venomous monsters that hunt in packs. 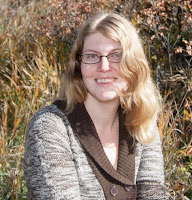 Kit’s stories have been published in half-a-dozen anthologies, and her YA novella, Hidden Worlds, was released by Turtleduck Press in 2010. Kit lives in Colorado in a house of ever-increasing chaos. Theosophy has dedicated her life to the protection of the City. She fully believes that she’ll give her life to protect it, because that’s the best she can do. Briony is a healer determined to protect her family. She sees it as her duty, since she couldn’t protect them when she was younger. Both women feel somewhat trapped in their respective environments. I’ve used a variety of cover artists for different books, but for this book we went with Deranged Doctor Design (http://derangeddoctordesign.com). We’ve been very pleased with the entire process, as well as the end product, and I think we’ll use them again in the future. They were especially helpful because my co-writer and I were having a hard time coming up with what we wanted on the cover, and they managed to take what we gave them about the story and make something awesome. Quiet. I can and have written a number of places that have worked merely because they were quiet enough that I could hear myself think. Ideally, though, I’d have a comfortable chair, a nice mug of tea, some sunlight, and no distractions. It’s that last one that always gets you. It’s no use worrying over things you can’t change. An astronaut. I devoured books on the space program, went to Space Camp three times, and even had half of my application to the Air Force Academy in place so I could be a space shuttle commander. But my vision’s never been so great and I’m very tall, so I would never have been accepted into the astronaut corp, at least by the guidelines of the time. They may have changed. I eventually went into aerospace engineering instead, figuring I could at least send things into space. In retrospect, however, I was probably always destined to be some sort of storyteller. My parents have certainly never been surprised by the way my career has gone. In general, I prefer physical books. I like the smell, the feel, the heft. But I also like ebooks. I like that I can take a ton of them with me when I travel instead of porting three paperbacks along. I like that I can set my ereader on the exercise bike and not have to worry about losing my place. And being able to read ebooks on my phone means that I’m almost never without a story when I have a few minutes to myself. 7. If you could have any supernatural power, what would you choose and why? The ability to know what someone was up to at any point in time. As a parent, that would be so very helpful. My kids would literally never get away with anything. I mean, like most superpowers, there’s a downside to it as well. I imagine there’s a lot of chaos to be wrought with a power like that. Also, what if you couldn’t control it and every time you thought about someone, you also saw what they were doing? Sometimes you probably don’t want to know. I’m reading The Spirit Ring by Lois McMaster Bujold. I’ve got a Twitter specfic book club, and that’s our pick for the month. It’s alt history fantasy. I’m maybe a quarter of the way through thus far, and it’s been pretty good.